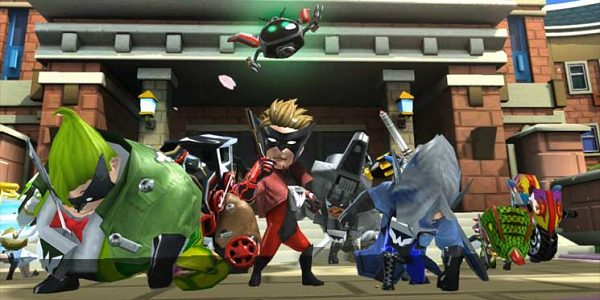 The Wonderful 101 is a title that many of our readers are likely familiar with. Developed by Platinum Games and soon to be published by Nintendo for the Wii U, it’s a stand-out title that seems to have the potential to be a lot of fun. Nintendo’s booth at PAX East 2013 showed off a timed demo, followed by a boss fight. It’s safe to say that while I sucked at this game, it sure was entertaining. I used the Wii Remote and Nunchuk to lead my heroes around, and I was able to forge them into a fist, a sword, and a gun. For some reason, I kept on creating the gun, so I shot a ton of baddies over and over again. You can also hit a button to have them create a blob of defense, but I always timed it a second too early, and I would take damage, anyway. I had a hard time collecting new reinforcements, but it’s probably because I didn’t really know how to. What I can say is that the controls feel tight and that the entirety of the experience was smooth and fun. It’s fairly fast-paced, and the demo kept things moving along, but I wonder if the finished product will become repetitive. The boss fight was a fun experience because it proved how bad my timing was with blocking…even though I saw a massive robot’s hand getting ready to squash me every time. The Wonderful 101 demo helped prove to me that it’s a game worth checking out. You can purchase it sometime this year. A solid release date has yet to be announced.